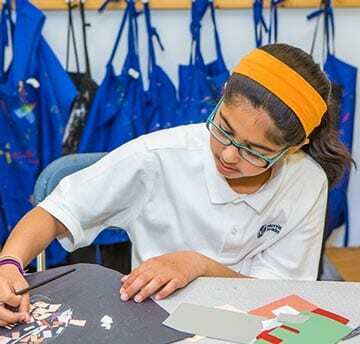 At Merritt , Middle School is built upon a learning environment rich in critical thinking skills and collaboration that cultivates communication and promotes independence. This is achieved through student-led learning; curricula focused on 21st century skills; and partnership with caring teachers who understand the mindset of middle school students. Develop content knowledge through interactive learning. 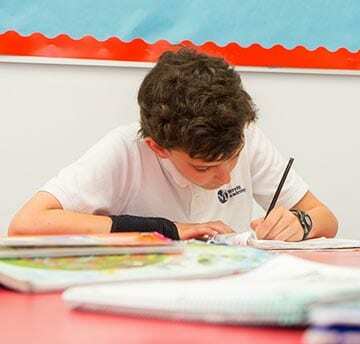 Encourage independence and critical thinking in a student-led learning environment. Cultivate strong communication skills utilizing a variety of learning tools that incorporates traditional skills e.g. writing via 21st century learning (iPads, collaborative projects, and digital media). Promote leadership and responsible citizenship through opportunities that serve the school and greater community (SCA, Peer Mentoring, NJHS, and service projects). Acknowledge that middle school is the critical gateway to high school and prepare students for the transition. Today’s students are digital natives so we give them the tools and the training to harness these skills for maximum educational value. 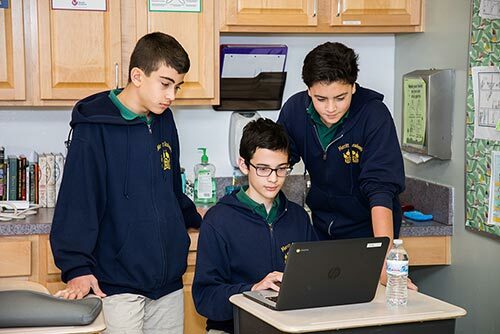 Each student receives a Chromebook used to learn coding, write papers, do research, access cutting edge textbooks and other resources, organize their homework and other projects, collaborate with classmates and communicate with their teachers. A well-equipped STEAM lab and maker space with numerous resources including a 3D printer is available to all students. Our goal at Merritt is to prepare your child to succeed in any type of high school experience. Our students head on to Catholic, private, and public high schools.